Inner Beauty: I Wrote a Book! I want to share a project that I’ve been working on for quite awhile with you. When we lived in Bogota I had extra time on my hands. As the rain drizzled down my windows I would curl up in front of the fireplace to write. I began compiling the accounts of our time in New Zealand. I studied cultural and historic information, threw in some touristy tips and wound my way down memory lane. I fell in love with the research and process of writing and soon I realized I had the beginning of a book in my hands. Some months I had more time than others, but I kept returning to my project. I poured more and more of myself into it and finally after a year I typed the last period. I had no idea what to do next so I decided to give it to a friend who does a bit of writing and get their opinion. That was hard, but I discovered that if I wanted anything to come about with this book then I needed to put myself on the line. Chip came back with positive feedback and encouragement. Looking back, I realize Chip was a fork in the road for me. What I did next depended on his response. It’s funny how we put all our eggs in one basket. Positive feedback and I move forward, negative and all that hard work goes in the trashcan. Then summer happened. We left Bogota, spent some time in the states and moved to Moscow. All that takes time and energy, so the book got stuffed in a box. Then one day I had time. I began to edit the manuscript and research traditional publishing versus self publishing. I got the book as far as I could on my own, yet I knew it was not close to being ready. I asked another writing friend to read it and she came back with excellent notes. One thing she challenged me on was the order of events. I understood, but how in the world does a visual, linear person take 60,000 words and change the order? I printed the book out and taped it to the walls of our house. For weeks my family lived with paper snaking through the rooms and down the halls. I stood there for hours in front of the pages with scissors in one hand and tape in the other. I literally cut pages in half, walked down the hall and taped them onto other pages. Then I sent out query letters. While emailing the first one I began to cry. I felt so vulnerable, so inadequate. This was one of many moments when it would have been very easy to walk away, but I made a choice that I didn’t want this book to be like the quilt in my closet that comes with me from post to post. Always the thought “I will finish it later.” is in the back of my head, I never do. I would love to say that some great publisher picked up the book and decided to print it. Although I got a few nibbles, that didn’t happen. Chad decided to do one last thorough edit. I thought I would die waiting for it to be complete, but now I have the absolute best manuscript I can produce in my hands. To me it is a treasure, a small piece of me goes out with this book. I’ve learned a lot about myself in this process. I’ve learned that I eat when I’m processing ideas. I’ve found that it’s easier to put myself out there in front of strangers than in front of you, my friends. Each step takes time and I am not a patient person. I discovered that I love researching, learning and writing. I enjoy the process of formatting and making sure every detail is correct for download. I doubt I’m going to enjoy the marketing, but maybe I’ll surprise myself! So here is my book. It’s a collection of tales and adventures, history and culture, recipes and travel information. 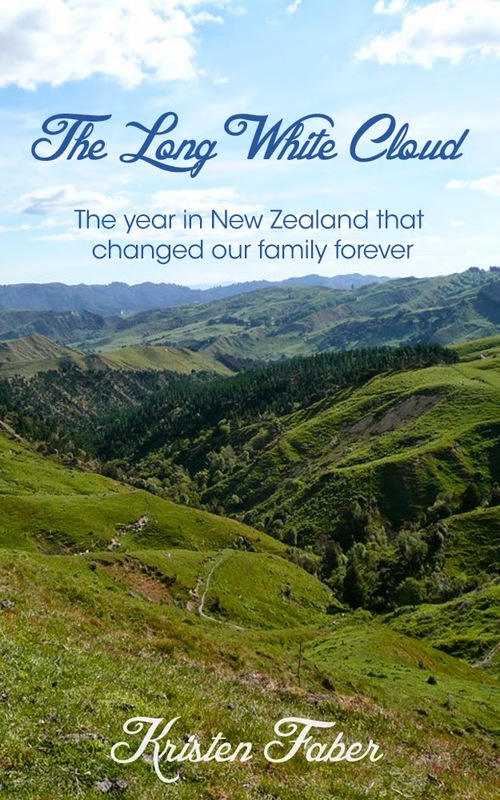 I guess you could call it a memoir/travel book of New Zealand. Currently it is only available as an ebook through Amazon, but I hope to have the hard copy ready in about a month. Please pass the word along, tweet it, write a review and email me ideas for marketing and feedback! Enjoy!